I have dairy sensitivities – mostly to casein, and milk most often makes me feel kind of phlegmy. (Sorry for the TMI!) I searched high and low for a protein supplement/meal replacement that agreed with me, and since I’m also not great with legumes, and soy or pea proteins, it was a challenge. Not sure how I came across Vital Whey, but I have been using it for years. It tastes great, no extra sugar or filler, and it absolutely sits quietly in my stomach. Beyond “tolerating” it, it has been really great for me. For anyone with casein sensitivities (I think I’m OK with lactose), this product might be what you’re looking for. Thank you, Well Wisdom, for a great product in a sea of less-than-great ones! Back in my college days, I used to work out several times a week, and generally purchased bulk whey proteins. I chose my protein based off the price per gram of protein I was receiving. I didn’t really know much about nutrition or how foods affected the body – I lived off of ramen and frozen pizzas. My initial impression was that it tasted incredible. It was far tastier than any other unflavored whey I’ve tried previously. But taste is just a minor bonus compared to what it has done for my overall health. Vital Whey has been INCREDIBLY HELPFUL for my inflammatory condition. It’s not even comparable to any other whey protein I tried back in my college days. How I felt after the first few days of regularly taking Vital Whey will keep me buying it for the rest of my life. I was so blown away that I called the company to find out more about the pasteurization techniques used for the Vital Whey. Clearly there is something in this whey that is retained, in stark contrast to that overly-processed crap I drank in college. I was answered by a customer service representative who was extremely knowledgeable about the product and had answers to all my nerdy technical questions. I was informed that they have experimented with different pasteurization temperatures and times in order to optimize the number of active immune-boosting constituents in the final product (lactoferrin, serum-albumin, immunoglobulins, cystine). Side note: Make sure you are buying whey protein concentrate if you want the additional immune benefits. Vital Whey is a concentrate, not an isolate. Personally, I am an engineer and very detail-oriented. I LOVE how scientific this company is with regards to their processing and information label. They even list the amount of lactoferrin, serum-albumin, and immunoglobulins on their label. That’s not to mention their customer service is fantastic! I am a huge fan in lots of ways, and will be a long-time customer. When I first started the Vital Whey® I learned about the benefits that it could give me but I didn’t realize that I would see benefits so soon. To name a few of them I love that I don’t I feel overfull from the shakes that I make. I feel as if my muscle recovery time has decreased a little bit. I am excited to see how consistency will improve this particular benefit because I can’t express enough the importance of that in my career. And finally my body tolerates the Vital Whey® better than any other protein supplement! This is a good product and I am enjoying it! I am excited to be a part of Well Wisdom and I am even more excited to see the future benefits from Vital Whey. Please do not stop making your products. They are changing peoples lives! There isn’t even a comparison to other non-denatured proteins. Everything is amazing. I just ordered my first vital whey protein powder and received it today. I have tried so many whey protein powders over the years because I have inflammatory bowel disease. Protein shakes are easy for me to absorb so I drink two a day. I am so thankful that I discovered vital whey. It is absolutely delicious and feels totally fine in my belly… Anyway, I am truly thankful for the excellent product and can’t wait to tell all of my other IBD friends about it! It is really a game changer for me! Vital Whey is a great tasting and effective protein. Our department has increased the physical requirements and implemented a new fitness program. Vital Whey has become a daily routine for me and my crew which will hopefully get us to that next level. This protein tastes great and has been keeping me healthy during my physical training. It’s easy to drink and after every serving, I feel full and replenished. The bulk size of this protein is effectively serving our shift and fire house. Multiple firefighters use the protein and there is plenty to last us. It breaks apart in your shaker well and tastes good. Being a female in the fire service, I know what it takes to work out and maintain that strength. Vital Whey allows me to take a supplemental protein that is perfect for a woman as well as a man. The Best. What More Can I Say? Vital Whey is Pure and the best in the class of healthy whey for medical and immune health. Proserum is excellent and the best. What more can I say? Thanks. I’ve had ‘Gulf War Syndrome’ since 1991, and since then I have researched endlessly trying to find out what went wrong with my body. As an NICU RN I can say with complete confidence, that doctors are useless when it comes to diagnosing or understanding ‘unusual’ symptom patterns. I finally figured out (a little late) that my glutathione was at zero from constantly experiencing flying harmonics, jet lag, getting Hep A series, oil smoke and pesticide exposure. Oh, did I mention stress? By accident, I was researching genealogy at a library when I overheard someone speaking to his friend describing how his devastating illness from exposure to water contamination was cured by your product. I went to your website, and was so impressed by the scientific background on the product that I bought it on the spot. I have noticed that when I take the product correctly (doh! ), I have increased tolerance to exercise, able to do more for a longer time without having as much weakness from the activity. I am a happy customer, and I’m even mulling over reselling or making my own label. And as a former RN, I understand exactly how we all got into this health mess, how it impacts our bodies, and how we need to cure ourselves so that we can cure our food chain. Outlawing GMO’s and getting rid of the corporate sell out of humanity for profit would be a great start. IF it’s not too late. Getting off my soapbox! May I say, Mr Michael Keenan, I’m so glad that you found what helped you, and that you made it for the rest of us! In 1983 I moved my business in Yuba City, Ca next to a farm chemical distributor. In 1987 I became very ill. My health has only got worse over the past 28 years. About 10 years ago I was told I had a fatal autoimmune disease call Sarcoidosis. I have been to every Doctor and Hospital in the country that thought they could help me. In 2003 we found out that out neighbor the farm chemical distributor had contaminated our drinking well with TCP and other chemicals. My health became so bad that I was only up on a good day 4 or 5 hours. I live on Prednisone and Morphine. My brother that worked with me and 2 other men that worked in the area also have Sarcoidosis and suffer like me. I started taking your Proserum® product about 6 weeks ago and it has changed my life. I have energy again. I am up all day and doing activities I never thought I would do again. I have been able to cut my pain meds in half so far. I also have gained much weight. Some days I could not open a bottle of water now I work in my garden again. What a blessing your product has been. It has not cured me yet but it has made my life so much better. I cannot thank you enough. I want to tell the world about you product. My wife who is in good health was so impressed with my change she started taking the product. She calls it her go juice. What about my brother and the other 2 men that also where poisoned? I got product for them a week ago and all are doing much better. What follows is a testimonial that I have volunteered to write because I am obtaining so much benefit from ImmunoPro®. Although I have only been taking ImmunoPro® for about a month now, I can already state with confidence that it is the single greatest therapy, prescription or non-prescription, that I have tried. 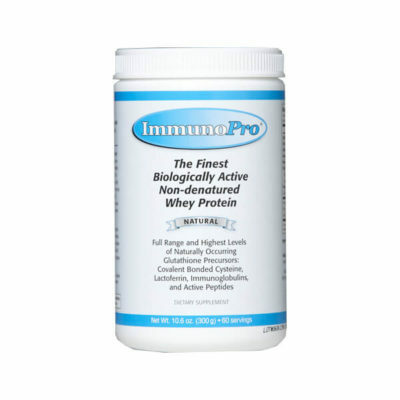 I had been taking a whey protein isolate (as opposed to a whey protein concentrate, which ImmunoPro is), and had been thrilled with the results that I was achieving with it. I was actually hesitant to try ImmunoPro®, because I was so happy with the other product I hesitated to stop using it. I am immensely pleased with my decision to use ImmunoPro®. I started with a very tiny amount (slightly less than one gram) and immediately felt slightly more energy and more “normal” than I had with taking twenty grams (two packets) of the whey protein isolate. I have slowly increased the amount of ImmunoPro® that I am taking, so that I am now taking approximately three grams. The more I take, the better I feel, so I am extremely excited and optimistic about the effects that ten or twenty grams may have. Because I feel that several heterogeneous but similar illness are currently being classified as C.F.I.D.S., I feel it important to detail exactly what my symptoms are and therefore what the ImmunoPro® is ameliorating. Basically, much of the time I feel like I have the flu. I have low grade fevers, swollen, painful lymph nodes, chills and general body aches. Of course I also have devastating fatigue, extremely limited stamina and both delayed sleep phasic disorder (phase-shifted sleep) and insomnia. ImmunoPro® has increased the amount of activity I can tolerate before having flu-like symptoms, increased my energy overall, improved the sleep disorders (and this is truly amazing, as even though I routinely take a fistful of supplements to sleep, nothing has made the difference that ImmunoPro® has), and given me brief windows of time where I feel what I can only describe as “normal”. During these “normal” periods, I not only do not feel sick, I actually feel good! Again, as of this writing, I have only been taking ImmunoPro® for a short time, and the more I take of it the better I am feeling (with a caveat: I find I must increase very slowly, in 1 gram increments, or I will feel very flu-like symptoms and also like I cannot think clearly at all). Therefore, in closing, I am enormously grateful for the existence of ImmunoPro®, which promises to give me back my life. I had been taking a whey protein isolate for 6 months with some improvement at 1-2 packets a day. I decided to try ImmunoPro® because of the lower price and have been on it for for 3 weeks. I started out at 1/3 a scoop 2x’s a day. I immediately felt like it is doing something powerful – a feeling that I did not get with a whey protein isolate. I have worked up to almost 2 scoops per day (1 scoop in the AM and the other in afternoon). I have some days where I am feeling a little more tired, but overall I am feeling really great and have had increased energy. I have been exercising a bit more with no major setbacks. This does seem to be a more potent product. Thanks to all who are sharing their reports on the whey – I am very excited about these products! I’m writing to say that I have tested your product ImmunoPro® using an electro- dermal screening device (meridian stress assessment), called the BEST System made by BioMeridian. Through the use of this computerized meridian analysis of patients, the general state of balance or imbalance of organs, glands and organ systems can be measured. Follow-up lab work can be performed to verify meridian stress results. The BEST System also enables a person to test for products that can bring their body back into balance. I have been quite impressed with how well ImmunoPro® tests for my most sensitive patients. Patients who could not tolerate any other supplements not only tolerate ImmunoPro® but they thrive on it. Within relatively short periods of time they are able to introduce a much wider variety of foods and supplements into their diets. It has a “normalizing” effect on obviously disturbed immune systems. I as well as many patients have been very favorably surprised by the positive impact of ImmunoPro®. 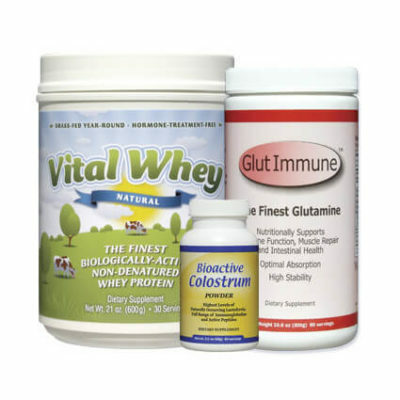 I have been using both Bioactive Colostrum and Vital Whey for over two years now and both have been exceptional in improving my health and wellbeing! Over the last twelve years I have tried many different health supplements, including a wide range of colostrum products, and I can honestly say that your Bioactive Colostrum is the best colostrum I have used. 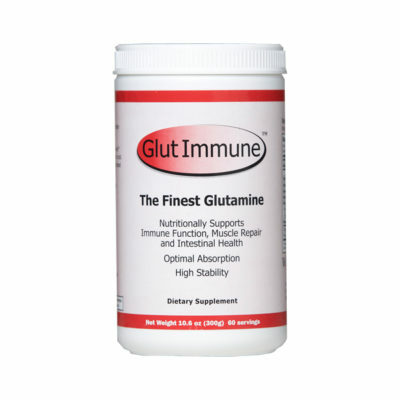 Having suffered with a number of long term health conditions, I have found it particularly helpful for the treatment of leaky gut and modulating my immune response. I consume it every day and intend to continue consuming it long into the future. I have been lifting weights for over seven years and have used nearly every whey protein supplement on the market. I am now a personal trainer and competitive bodybuilder. Like anything, with age comes experience, and over the years I have dealt with the constant ups and downs from the inconsistencies in protein supplements available. My numerous disappointments in quality, taste, and digestibility led me to question what was really in these products that I was consuming. After lots of searching, I discovered Vital Whey by Well Wisdom. I was impressed by purity of the product which contained no artificial sweeteners, preservatives or fillers. Upon trying Vital Whey, I was sold. Not only did the product taste good, but it also didn’t give me any of the bloating or other annoying side effects that other products had given me in the past. As listed on the label, I am comfortable knowing Vital Whey is free of hormone-treatment, pesticides and harmful chemicals found in other proteins. Also, as a non-denatured protein, Vital Whey provides a minimally processed whey that is easier to digest and is readily available in my body. Vital Whey now plays a crucial role in my workouts by providing me with highly bio-available protein that not only fights against the breakdown of muscle fibers, but also helps them to grow and strengthen for the workouts to come. Since I started supplementing with Vital Whey, I have seen significant improvements in my strength, endurance, and my overall wellbeing. I also stack Vital Whey with Well Wisdom’s GlutImmune and Bioactive Colostrum to super charge my muscle recovery and immune system. I believe in Well Wisdom and recommend their products to any of my clients that are in need of an overall better sense of health and wellness. I use it to compliment my diet and really helps with my exercise. Easy on my stomach too. The Best Protein Powder on the Market…Period! I have been in practice for 24 years and I always want to provide the highest quality products for my patients as well as my family. Vital Whey is by far the best! The qualities I look for in a good protein are milk from grass fed cows and that the whey is form concentrate and not from isolate. I love the fact that they whey isn’t cooked destroying the vital enzymes and glutathione. I love the fact that it’s sweetened with Stevia and that it doesn’t have an aftertaste. And finally, that the ingredient list isn’t a page long with chemicals and things I can’t pronounce. It has just 4 ingredients, clean and simple. It mixes super easy whether in just water, coconut water, almond milk or smoothie and it tastes great!